I have been meaning to address the issue of my boats stereo for a while and figured while doing the re-wire was as good a time as any. The old stereo box bugged me as the PO had stained mahogany to match the teak, Yuk! Most would have never noticed, but of course I did. Secondly the PO did not allow any room for air circulation in the old stereo enclosure. 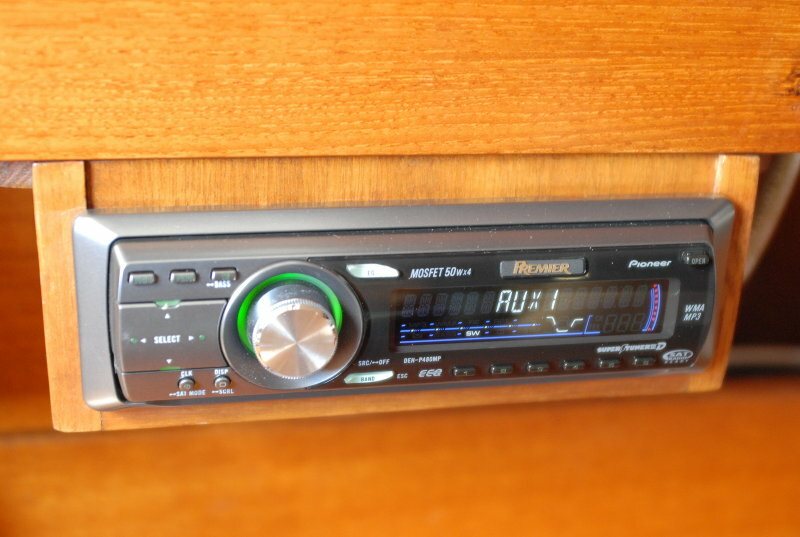 The stereo sat directly on the wood and scraped the edges as it slid in. There was not even room for the face plate adapter that the stereo slides into. To make a long story shorter the stereo would heat up and distort after a while. © All Images property of Compass Marine Inc.